We have heard time and time again…cats are not small dogs. If you have ever attempted to intubate a cat, you would completely agree! Cats are often more difficult to intubate with rapid and potentially severe laryngospasm, making intubation under severe sedation a challenge. While there are often tips and tricks to intubate a cat (e.g., ranging from the use of a stylet to the use of a local anesthesia drug such as lidocaine), there continues to be research into better ways to protect the airways of our patients. One of these tools is the use of laryngeal mask airways. 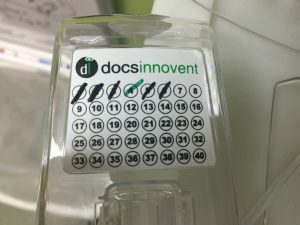 While used in the human medical field, these have become a new product in the veterinary field that an increasing number of practitioners are becoming comfortable with. Laryngeal mask airways are designed to be passed blindly into the oropharynx beyond the larynx, then pulled out slightly to bring the epiglottis rostrally and position the cuffed lumen of the device over the larynx. 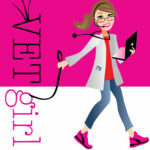 One of the most common options in the veterinary market is the "V-Gel". The goal of using the V-Gel is to give a gas-tight seal and prevent the issue of laryngeal spasm, coughing, gagging, stridor, or tracheitis post-endotracheal intubation. There are certain conditions in which this device and technique would be a challenge and potentially should be avoided including any abnormality obstructing the lumen of the airway (e.g., laryngeal paralysis, laryngeal/upper tracheal mass). Have you used these products? COMMENT below and let us know! 1. Briganti A, Melanie P, Portela D, Breghi G, Mama K. Continuous positive airway pressure administered via face mask in tranquilized dogs. J Vet Emerg Crit Care. 2010;20:503–508. 2. Prasse SA, Schrack J, Wenger S, Mosing M. Clinical evaluation of the v-gel supraglottic airway device in comparison with a classical laryngeal mask and endotracheal intubation in cats during spontaneous and controlled mechanical ventilation. Vet Anaesth Analg. 2015 [Epub ahead of print]. 3. van Oostrom H, Krauss MW, Sap R. A comparison between the v-gel supraglottic airway device and the cuffed endotracheal tube for airway management in spontaneously breathing cats during isoflurane anaesthesia. Vet Anaesth Analg. 2013;40:265–271. 4. Weiderstein I, Moens YP. Guidelines and criteria for the placement of laryngeal mask airways in dogs. Vet Anaesth Analg. 2008;35:374–382. I had the pleasure of working with the rabbit V-gel recently. When I learned about it about 6 months ago, I set out on a mission to convince my vet to get one of these for our clinic. I did my research, presented it to him and he decided to buy the V-gel for our next rabbit surgery. I have never done anaesthesia in a rabbit, so it was my very first time not only (successfully) placing an IV catheter in the marginal ear vein (I studied everything i could about it for 3 weeks prior to that surgery), but I finally got to place the V-gel and monitor the rabbit, together with my good friend capnograph, and the rabbit not only made it through his dental extractions, but he had the most uneventful recovery I’ve ever seen in any animal. It was one of the most amazing and rewarding experiences of my vet tech career and I don’t know how we ever got along without the V-gel. Rabbits are notorious for dying under anaesthesia,, and establishing airway for surgery is difficult in these guys, using conventional endotracheal tubes that were originally designed for human anatomy. It is amazing to see that they have the V-gel for cats too, maybe one day we could get at least one of those. 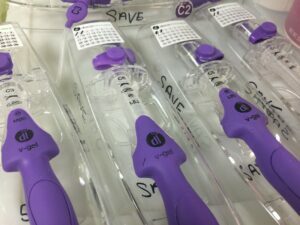 The cost is pretty significant for a small practice, but it will pay for itself over and over when you consider the safety, ease of use (it really is tough to place it incorrectly), and all the tracheal epithelial tissue saved from the unavoidable trauma caused by these ET tubes that we use. At the end of the day, at least in my opinion, the V-gel could significantly improve the outcome for any animal undergoing any kind of surgery. My wish is that one day, the V-gel will be standard practice for all the small animals we work with. That’s my two cents worth. Thanks Sonia! So good to know – keep spreading the word – a lot of veterinary professionals still aren’t aware of this product!